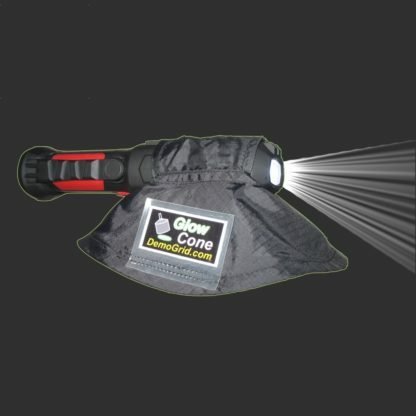 Save by purchasing this Glow Golf set! 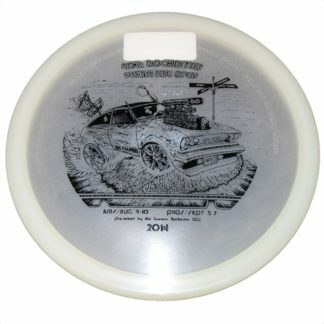 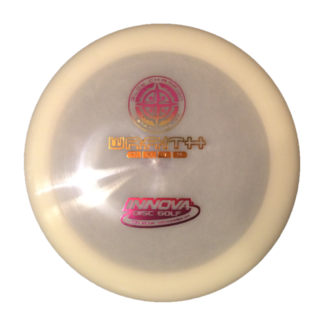 Want to throw glow? 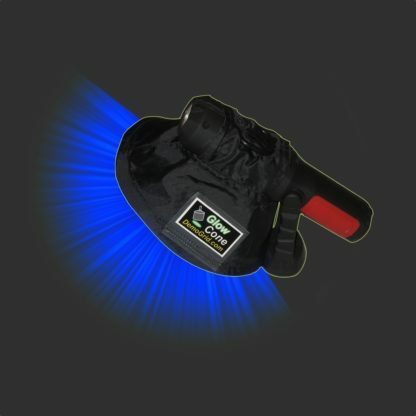 This glow disc and UV light set is all you need to play Glow Golf. 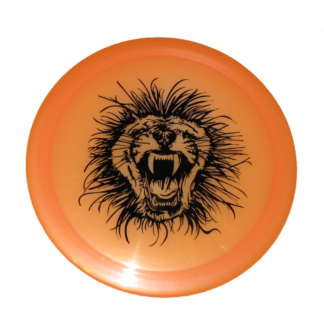 The Discraft Glo Buzzz is a wonderful multi-purpose disc with consistent flight characteristics that can be used from the tee, for mid-range shots and putting. The dual function UV and white light flashlight is perfectly suited for glow golf. 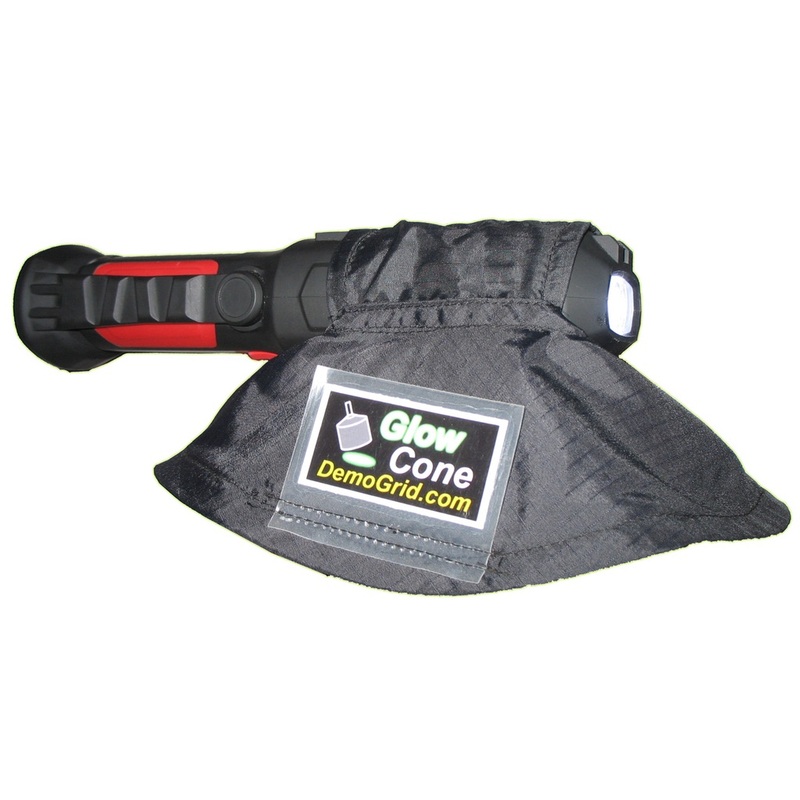 This is what you need to start playing Glow Golf; A Glow disc and a dual function UV and white light flashlight. 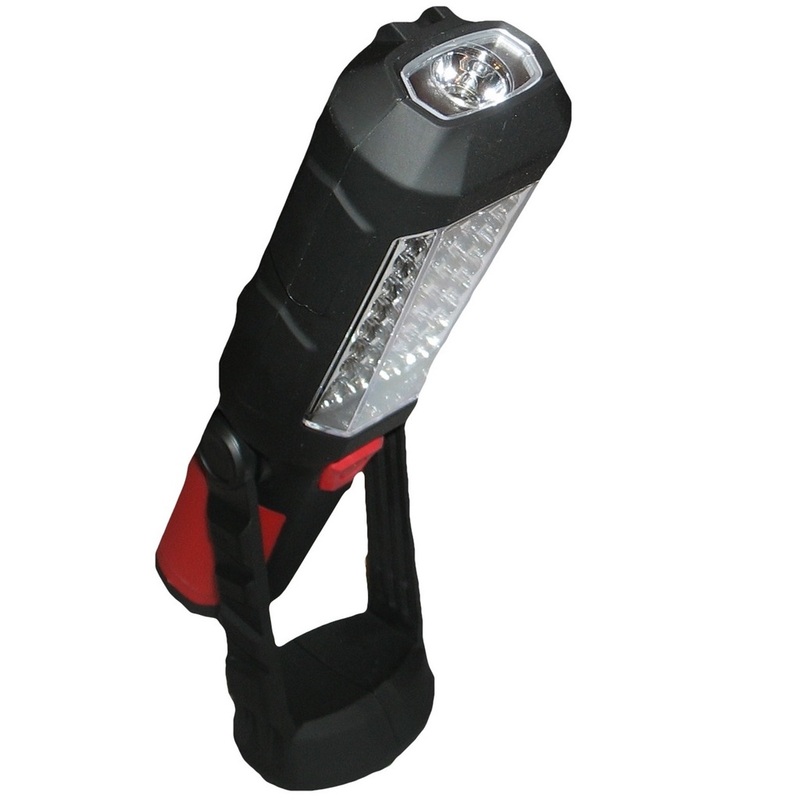 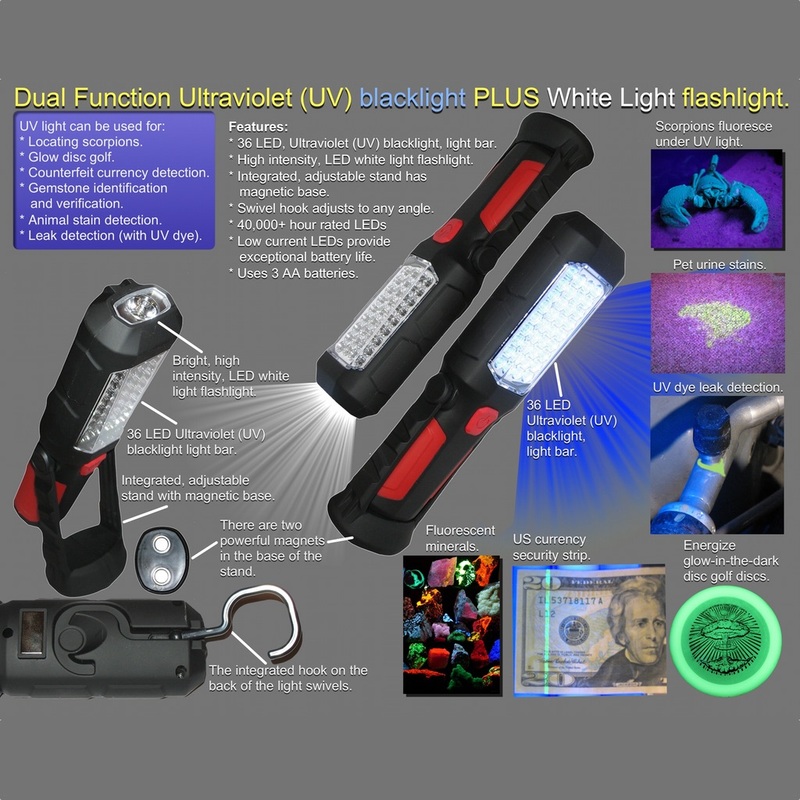 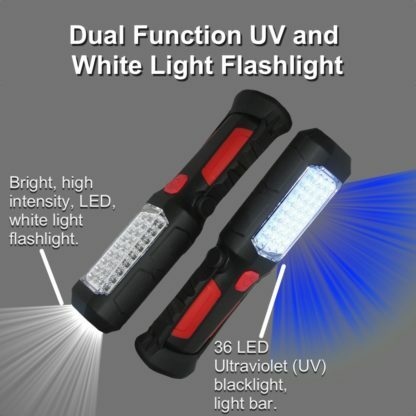 This dual function, ultraviolet plus white light flashlight has both a 36-UV LED light bar to charge the disc and a bright, white light flashlight for lighting you way while walking in the dark disc golf course.